Our best resource is one another! What a great way to bring in the new school year! 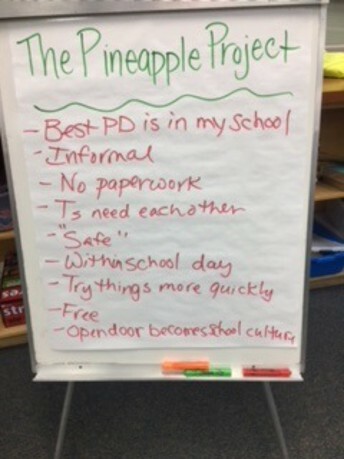 The Pineapple Project is underway at HIS and off to a "SWEET" start! Seeing that the pineapple is a symbol of hospitality, it is proper for it to be our project logo. 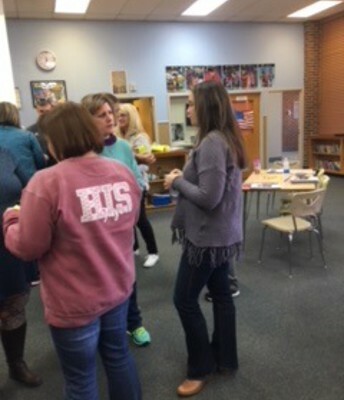 Teachers across our building are sending an open door invitation to their peers to come observe to see all the wonderful things taking place inside their classrooms. Don't forget to go by the mailroom today and share your lesson date with us! 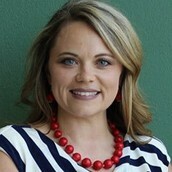 You can receive up 4 hours of PD credit for inviting or observing. Be sure to log your evidence in our Google Classroom. The HIS code(11k08be) has been established to share strategies that work or can be an avenue just celebrate something observed throughout the year! 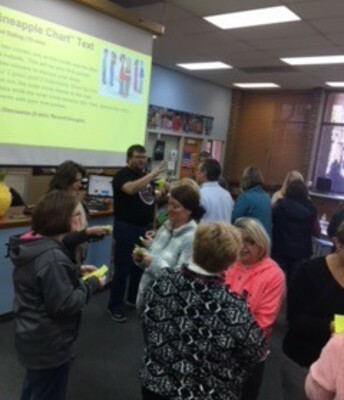 **Can we get credit in Chalkable PD? 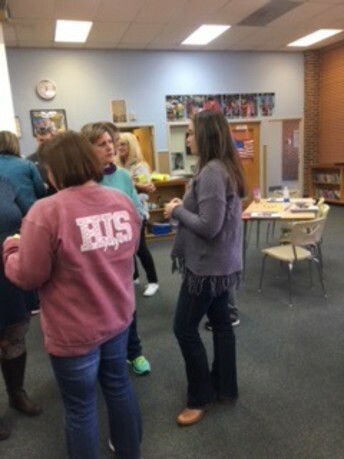 Yes, Mrs. Harvel will set up an STIPD event. As you observe another teacher, post the strategy/picture/reflection of the lesson. 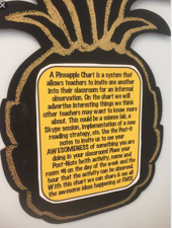 Also, if you post your invitation on the pineapple chart, we can also consider that as an opportunity for you to "present" pd for others and provide 15 min of PD credit as well. Just remember to post evidence of learning in Google Classroom! This is where Mrs. Harvel will look to see what you have done. Lastly, you can receive up to 4 hours PD credit through this system! **What if we just have a strategy the first 5-10 minutes of class? How do we note this so others know when to come? When you post your activity on the chart, just write time frame/date/periods/activity on the post-it. **How do you manage teachers coming in at random times with locked doors and school safety? 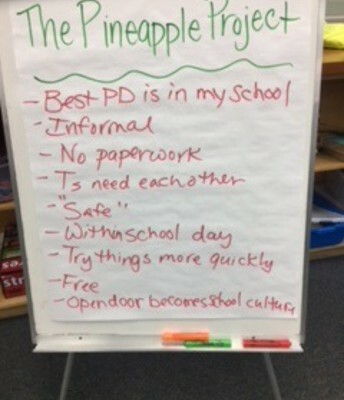 We can utilize a student door keeper(in each class period) for that day to be responsible for letting other teachers in...OR someone mentioned the idea of a having a Pineapple "Key"(LOVE THIS!!!!!) in the office to "check out/return" after your visit. Check with Mrs. Harvel about the location of the key. **What is Google Cardboard? Is anyone using it? It is a virtual reality experience. Follow the link below for more information. If you are using this resource or have information about it, please post in our Google Classroom page and share pros/cons/do's/don'ts. **GREAT QUESTIONS! FEEL FREE TO CONTINUE THE QUESTIONS AS NEEDED AND I WILL DO MY BEST TO RESPOND IN THE NEXT SMORE. 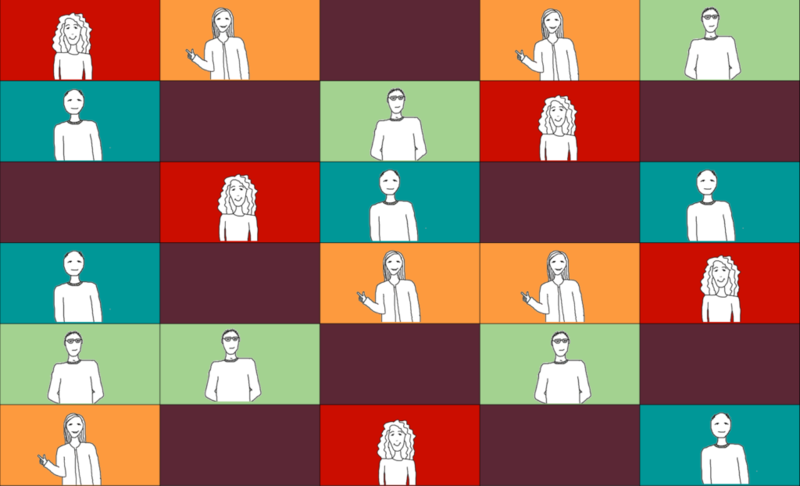 As one-size-fits-all PD fades away, more personalized professional development models have emerged. The Pineapple Chart may be the greatest of them all. I would be honored to collaborate with you on a lesson, unit or just be someone to bounce an idea off of. Please let me know if you need anything this year! I'm here to be a resource for you! 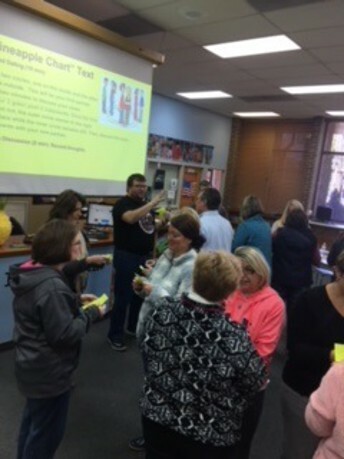 Here is also a link to the menu of support items for you and your classroom!